Hemyock&apos;s traditional Boxing Day Meet was held on Monday 27th December 2004. (They do not hunt on Sundays.) 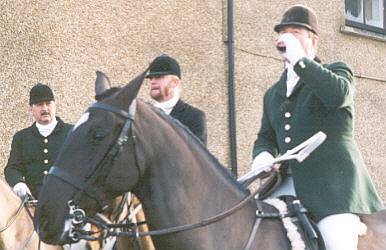 Following the new Hunting with Dogs Act, this could have been their last Boxing Day Meet. 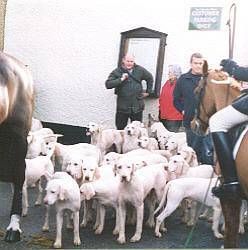 The "Taunton Vale Harriers" with 120 riders and crowds of people thronged the centre of Hemyock. Traditionally, the Harrier&apos;s "Master" wears green rather than "Hunting Pink." The Catherine Wheel provided traditional "Stirrup Cups" and refreshments. 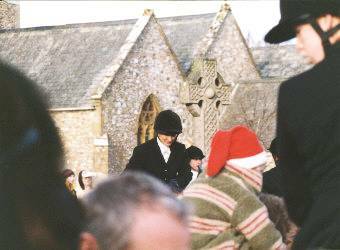 The hunt rode south from Hemyock, catching two foxes. The Hunting with Dogs Act came into force at midnight on 17th February: The Taunton Vale Harriers&apos; meet at Hemyock on 19th February was for hound exercise. 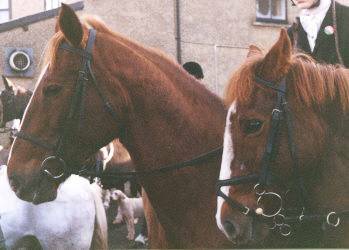 The Harriers&apos; season ended on 7th March, ready for their point-to-point. 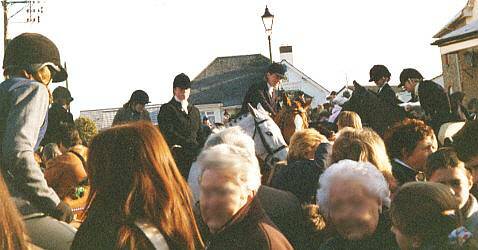 Boxing Day 2005: After the Ban.